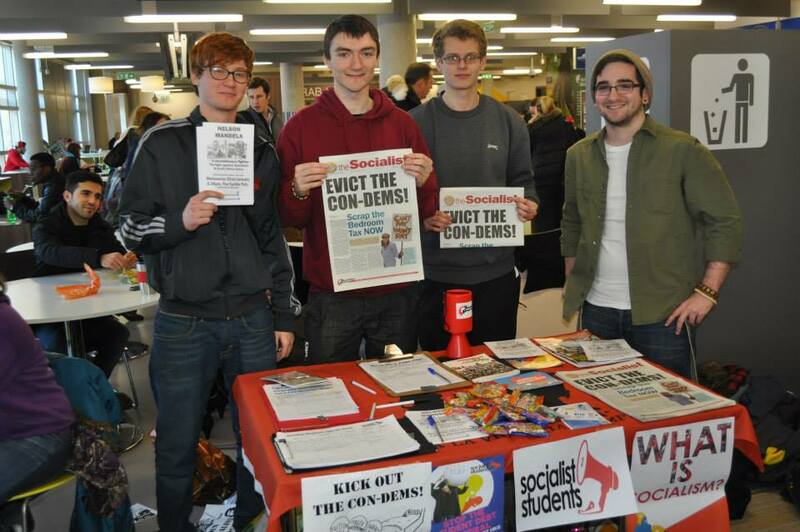 As the clock hit 10 at Coventry University’s re-fresher’s event officially start, Socialist Students were ready with prepared stalls, literature and a good conversation for any interested student that came over to chat. The overall response was very positive as students from all walks of life and political positions approached the stall to discuss wide-ranging topics from what is Socialism to what campaigns the society fights for on a daily basis. Big strides were made in raising the profile of the society on campus and getting students not only interested in politics but waking up to Socialism! Today was only a drop in the ocean in terms of building the society and building the platform necessary to inform students and young people in general what Socialism means and how we can get there. We aren’t all capitalists now!